Most anglers love to catch a mess of hard-pulling bream in springtime- but there’s no reason to stop the fun- bream bite in fall, too. It’s late summer, going into fall, and football season has started in Alabama. The birds have stopped singing their nesting songs, and teal have started to show up in the upper Mobile Delta. A lone angler in a small boat notices these early signs of fall. The water is warm and quiet in this small bayou, and a few leaves drift slowly down from streamside trees to come to rest on the surface of the dark water. This little creek off the Tensaw River in the Mobile Delta is one of the angler’s favorite spots for catching some fine bream in springtime during the spawn, but spring is long gone. It’s not just memories of spring fishing that have brought this bream angler back to his favorite bream fishing spot. Even though it’s not spring, the angler’s small bobber which has just been eased back into the water with a fresh live cricket seems to act just as it does during the spring spawning bite. As the live cricket under the bobber is lowered into the clear, dark water of the little feeder creek, the bobber wiggles and then disappears with a rush. When the angler raises the rod tip and the rod takes on a deep bow with the pull of a strong and determined panfish, a big smile breaks out on the angler’s face. The dark, round bream is brought to the boat and lifted into the live well, and the angler has to admit the truth.The fishing techniques that worked in spring for big bream on the Mobile Delta waters work just fine in fall, too. Even though it’s the end of summer and going into autumn, Mobile Delta bream are just as eager to bite and fight, and they are just as delicious now as the main ingredient of a fish fry, too. One thing that the Mobile Delta has is a good range of bream. There are warmouth (goggle eyes), red-bellies, stump knockers, red-ear, shell crackers- Delta bream go by a multitude of various names- and the most common- bluegill. These aggressive and always hungry panfish live everywhere on the Delta, and they are wonderful fish to catch and later to eat. Dave Armstrong, Fisheries Supervisor for District 5- Alabama Department of Conservation and Natural Resources, along with his staff keep a close track on the population of various fish species in the Mobile Delta waters, and he offers us some information about the bream fishing in fall. The good news from Dave Armstrong: There are lots of bream for anglers on the Delta this year. No matter where on the Delta a bream angler goes, a certain situation that is very commonly found on the Delta waters can be very productive. 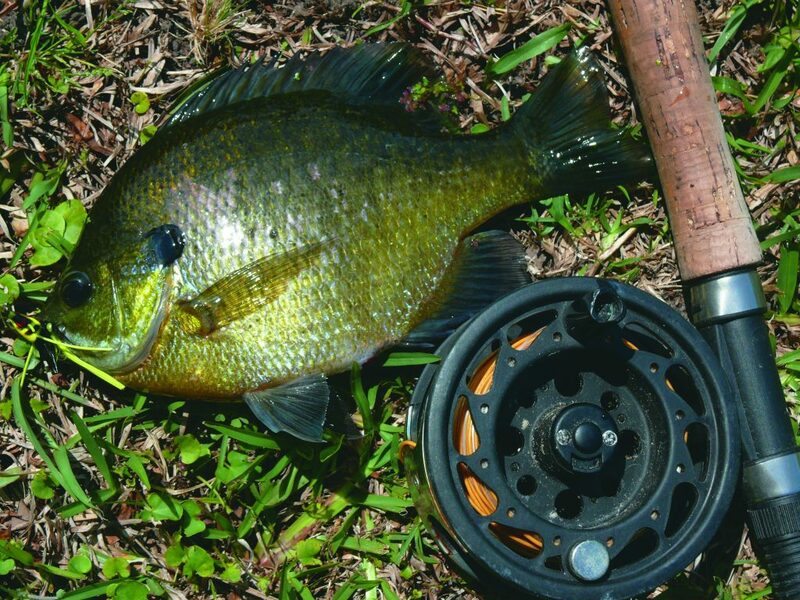 Specifically, bream anglers should look for places where two small bayous or creeks come together. These junction spots often have the best water for large schools of bigger bream. Many junction spots have a shallow flats area which the bream will use for late-season bedding and feeding, and also there will be an area of deeper water which bigger bream- especially shell crackers- like to hold a position in. Each and every junction spot found in the Delta deserves some time and attention. 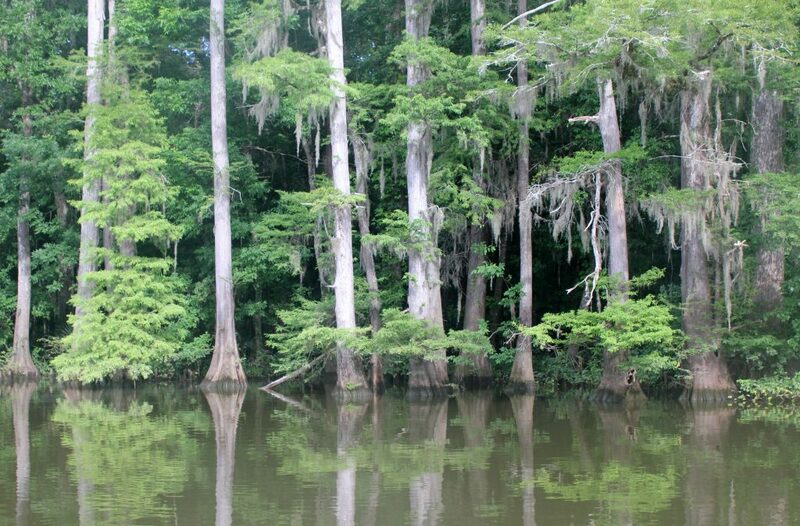 Quite often, anglers will find a stretch of Delta creek shoreline which is lined with massive cypress trees and the water below the trees will have rows of cypress knees which protrude from the water. These shorelines need some attention from bream anglers. Very often, bream will be vey thick around the cover of the cypress trees and the wooden structure at the shoreline. When one bream is caught, the area should be worked hard, because there will usually be more than a single bream in a small area. Other potentially productive Delta areas are blow-down trees which have their limbs and tops in the water. The bream may be holding in the downed treetop anywhere from the very shallow water of the shoreline out to the tips of the branches in fairly deep water. A cane pole or “bream-buster” rod which allows the angler to quietly lift the bait and then drop it back into the water quickly allows the best holding area for bigger fish to be located. 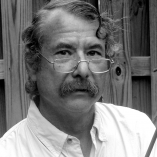 Although Dave Armstrong is first and foremost a scientist who studies the fish and their habitat, he is also an angler. He gets to see lots of other folks who fish on the Delta, and how they go about catching bream there. Most serious bream anglers use live bait. Just about all Delta area bait and tackle shops and docks will have live crickets on hand, and for bluegills, it’s hard to beat a cricket. For the biggest shell cracker bream, a fat red worm fished under a tiny split shot and dropped in a pocket of deeper water near some kind of shoreline cover is a good call. There are some very big shell cracker bream in Delta waters, and even though they’re a bit harder to locate than the ubiquitous bluegill, they can fill up an ice chest quickly. 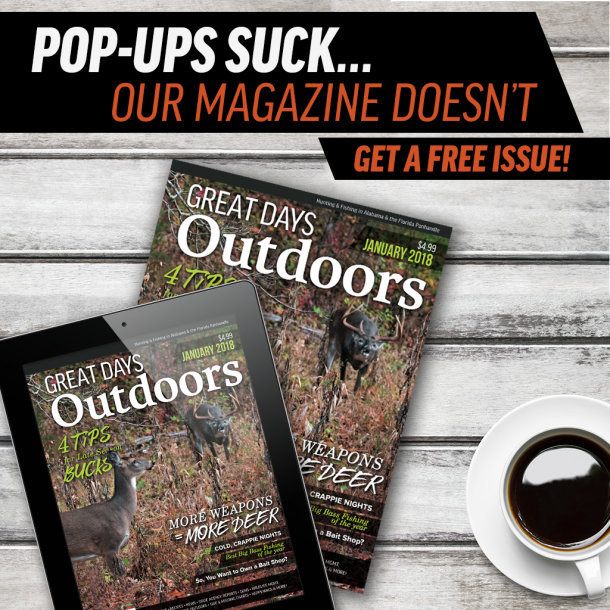 Now, for possibly the best live bait for bream of all kinds on the Delta, we get some more great advice from Dave Armstrong. He says,” If you’re lucky enough to find an area with ‘seed shrimp’ in shoreline vegetation, you can really catch some great bream.” ‘Seed shrimp’ are tiny- one to one and half inch long- shrimp that live their lives in Delta area water weeds, and bream absolutely love them. Anglers can use sweep nets to capture the seed shrimp from the weeds and grass, and then fish the shrimp just like a live cricket. If bream are in the area, an angler using seed shrimp won’t have to wait long for results. The very largest bream on the Mobile Delta didn’t get to be big by being dumb. Anglers may have to scale their line weight down to make it harder for the biggest bream to detect the line and hook. However, going too light on the line can lead to problems, too. It is not only possible but quite likely that a live bait sent down for a nice ¾ pound bream may be taken eagerly by a twelve-pound channel or blue catfish. For this reason, Delta bream anglers will probably want to use at least 8 lb test line. This weight line gives bream anglers a chance to land a really big catfish if it intercepts a bait offered for a bream. Although both sides of the Mobile Delta offer bream anglers some great fishing, the eastern shore of the Delta may be the best side to get into some hot fall bream fishing quickly. Scott’s Landing on the Causeway gives anglers access to good bream water very quickly, and by running upstream just a bit, anglers can get into Bay Minette and Bay Minette Creek. Bay Minette Creek in particular is a very good bream fishing location, and even in cold winter weather, bream anglers will be seen fishing the deeper waters of Bay Minette Creek around the bridge crossing where they often have very good luck. Byrne’s Lake Landing gives anglers access to some first-rate backwater bream fishing. Some extra-large shell cracker bream can be found in the deeper pockets of water downstream of the Byrne’s Lake boat ramp- drift a red worm along the bottom, and hold on tight. Perkin’s Landing and Cliff’s Landing upstream on the river are excellent places to start a Delta bream fishing trip. Even though September is not the time of year most anglers think about catching big strings of bream, there’s no reason it can’t happen. Bream are feeding heavily getting ready for cooler weather. Bream are still on the beds, even late in the summer, so they’re fairly easy to find. And if there’s anything much better on the table than a platter of fresh-caught, fresh-fried Mobile Delta bream with some hush puppies, french fries and onion rings- well, we’ve not found it yet. In fact, a September Mobile Delta bream fishing trip might be just about the best way to have a great day outdoors in fall.